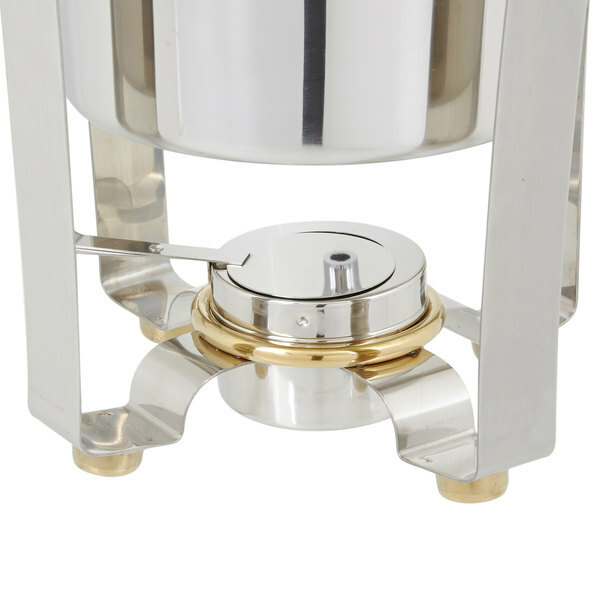 The Vollrath 48328 Panacea 11.6 qt. 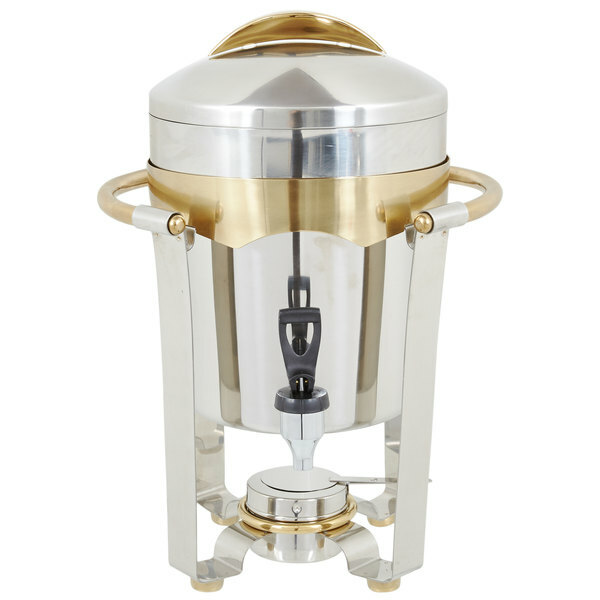 (2.9 gallon) chafer-style coffee urn has an upscale, elegant look inspired by classic architecture that features sweeping arcs and 24k gold trim to complement your buffet or catering operation! 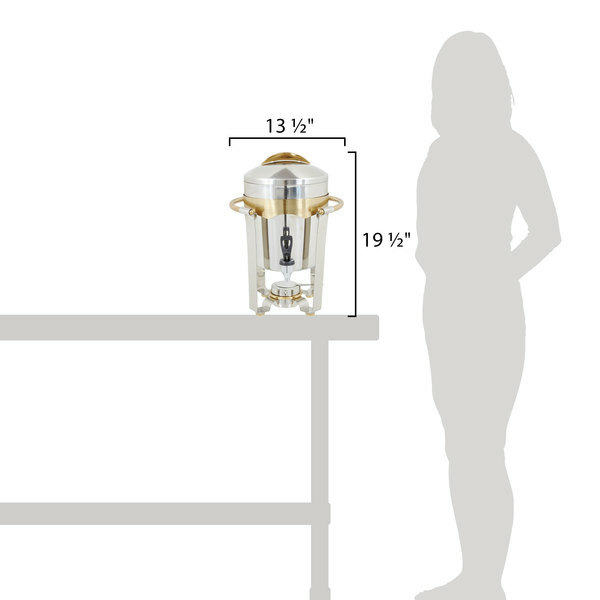 Its beautiful mirror-finished stainless steel is durable and easy-to-clean, too. 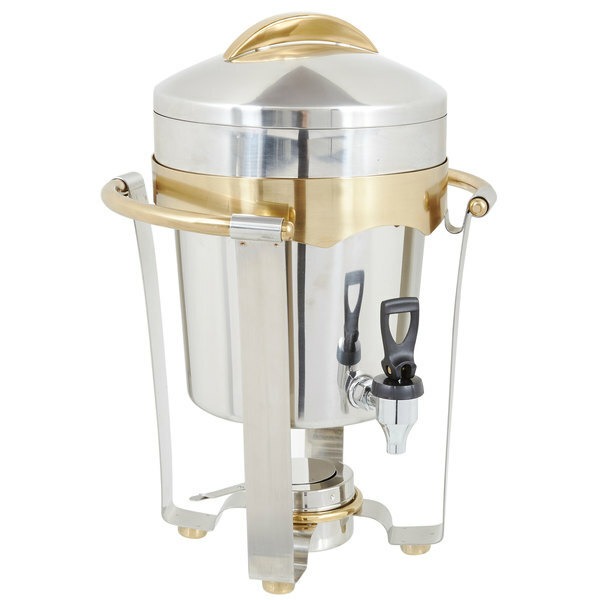 The Vollrath 48328 coffee urn has a removable faucet for easy cleaning, plus a fuel holder. 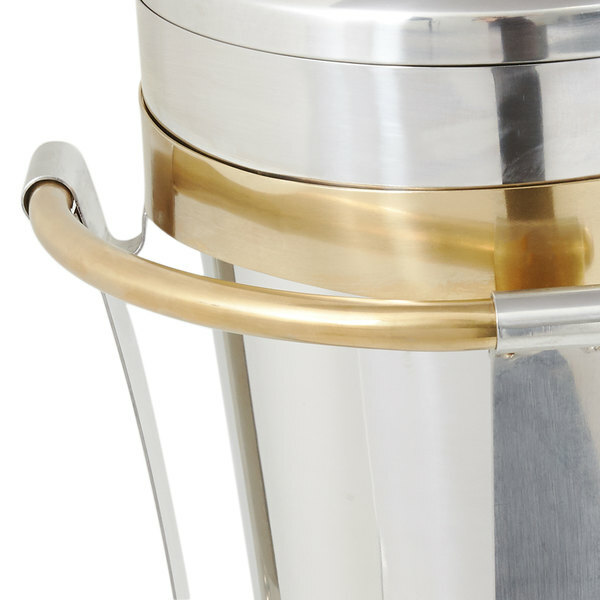 Have fingerprints or scratches on your coffee urn? Try a microfiber polishing cloth! You might not even need any chemicals! You can find this cloth under item# 27136333. Don't forget to check out our Crown Beverages coffee too! These are stunning. 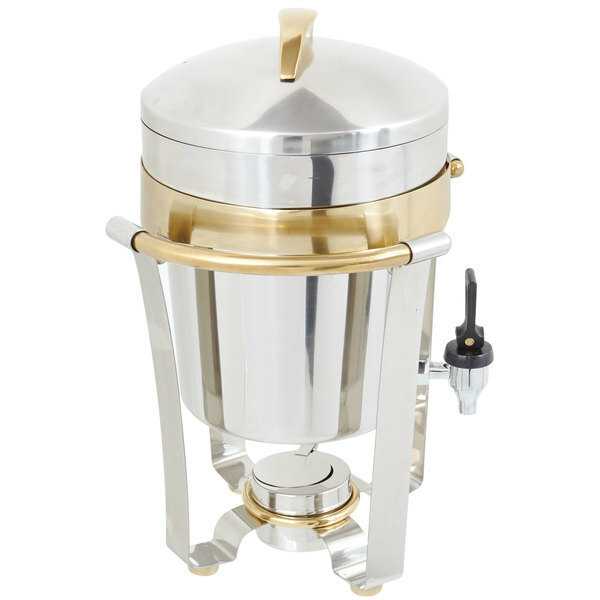 We bought these to complement our Choice gold trimmed roll top chafers for the breakfast buffet. When handling these one does notice the superior build quality from Vollrath, very happy with this purchase. 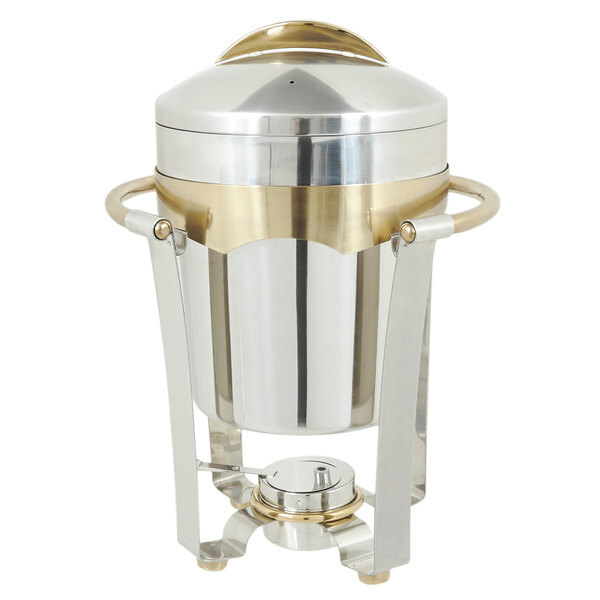 This is a beautiful coffee urn. It was a great price and has lasted us for a couple years now. 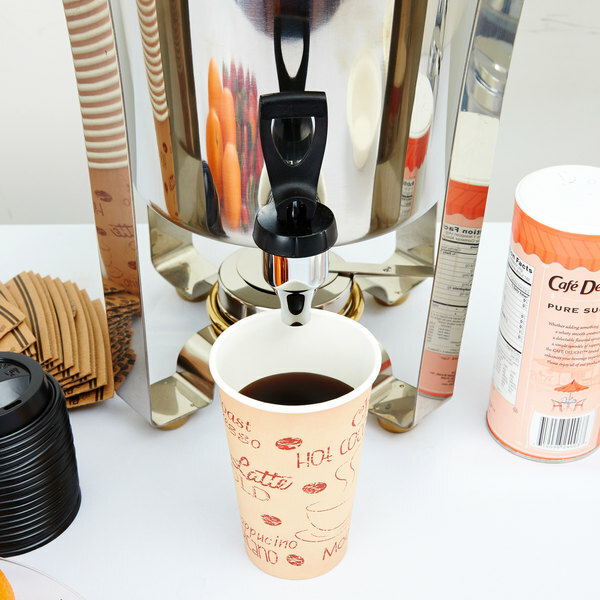 We use it every time family gets together as we're huge coffee drinkers. We bought 3 units for our beverage station. For the price they have done very well. After 3 1/2 years the valve in the serving spout on one of the units failed and we replaced the whole urn with a new unit. We purchased 2 of these urns in the summer of 2010. They arrived in great shape and are beautiful. Will be purchasing another so we have a total of 3 (Reg, decaf & hot water). 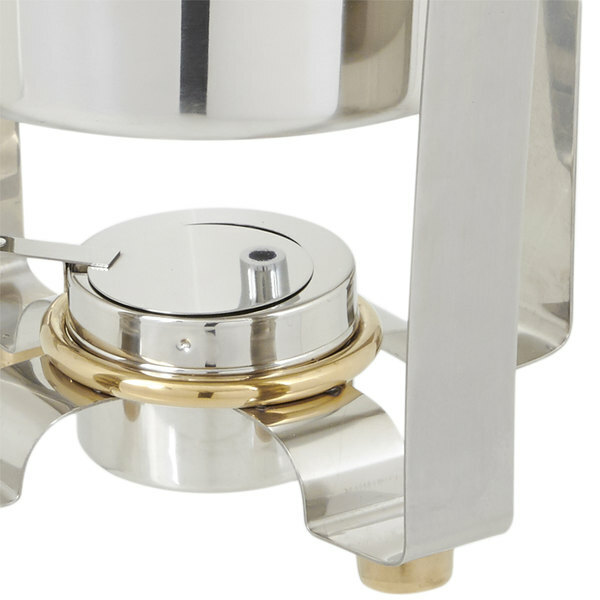 Close down the Sterno to minimum, otherwise you will boil to a steam the coffee or water and the spigot will start leaking at high heat. This is a stylish product that goes well in any formal event. 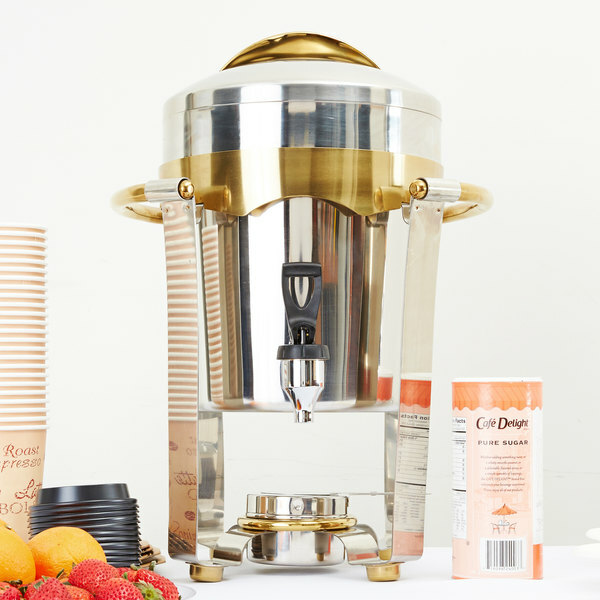 Use the Carlisle Cateraide LD500 for informal events. 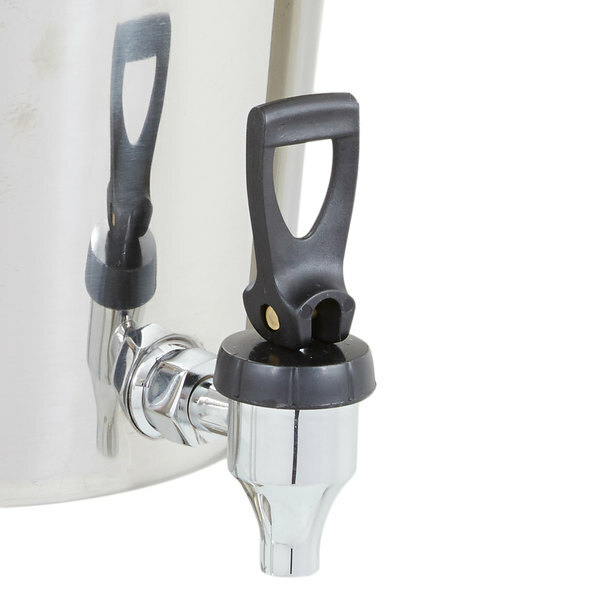 NEVER use any type of spigot-ed device like these for any "lumpy" liquid such as soups or stews. 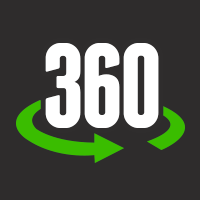 If you touch the spigot, a piece of food will jam the spigot in the open position. Hope you like eating a lot of soup! 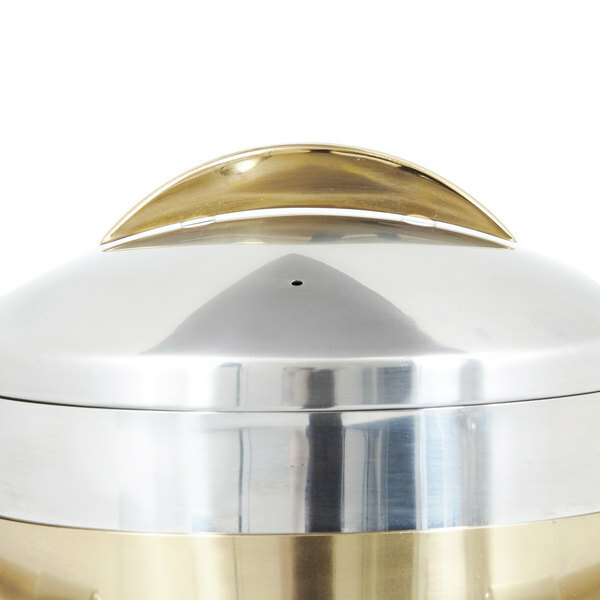 Use the Marmite for soups or stews or the Carlisle LD500NSS designed for transport.